Eating disorders commonly affect individuals of all ages, from pre-teens up to and including adulthood. There are three main types of eating disorders that most individuals are diagnosed with – Anorexia Nervosa, Bulimia Nervosa, and Binge Eating Disorder. Each diagnosis involves negative feelings regarding eating, food, and physical appearance. Most suffer from lowered self-esteem and a distorted image of themselves despite how they may appear. The Mayo Clinic has defined eating disorders as a group of serious medical conditions in which an individual is completely pre-occupied with eating and losing weight. Serious physical health problems can result from eating disorders. However, there is usually an underlying psychological issue going on at the same time as the disorder, including anxiety or depression. These need to be addressed in conjunction with the disorder. Binge Eating Disorder is an exception to the rule as it appears to affect nearly as many males as it does females. Those suffering from anorexia nervosa refuse to eat, or severely restrict their diet in an effort to lose weight or prevent weight gain. At times, the person will become extremely thin and health will be compromised due to lack of nutrients. A person suffering from bulimia nervosa will have instances of bingeing in which they consume a large amount of food, followed by periods of purging in which they attempt to remove what they have eaten from their system in a repetitive cycle. Purging involves the use of diuretics, enemas, and laxatives as well as self-induced vomiting. Binge eating disorder is similar to bulimia nervosa in that a large quantity of food will be consumed in a short period of time, however, instances of purging do not occur. Typically, in binge eating disorder, binging periods are followed by emotional distress or shame due to the binge. Also referred to as hypergymnasia, anorexia athletica is characterized by obsessively and compulsively exercising or working out at a gym. Generally, this type of an abnormal obsession develops as a person becomes consumed with the way his or her body looks. Someone suffering with anorexia athletica will continue to exercise habitually even when they have reached their exercise level. Time spent exercising continually increases. Their athletic goals are never reached. If they do not exercise they feel guilty about not doing it and can develop very low self-esteem. Dangerous health issues can arise such as heart problems and possibly death. Anorexia athletica can also develop into other eating disorders such as bulimia nervosa. Drunkorexia is a relatively new condition and terminology in the field of eating disorders. Drunkorexia is slang for decreasing eating to consuming more alcohol. In this case, the intake of food is replaced with alcohol. In other words, you are eating less and drinking more, substituting the calories from food with the calories from alcohol. Drinking alcohol without eating is extremely dangerous. Blacking out into unconsciousness and extreme nutritional deficiencies can occur when you only drink alcohol and do not eat. Alcohol nutrients cause deficiencies in minerals and vitamins while increasing the risk of becoming an alcoholic in the process. This can also result in a higher distribution of fats throughout the body which can eventually lead to the onset of liver problems, obesity, and pancreatic cancer. At times, some people struggle with food, while others may ingest items not meant to be eaten. Please note, some of the below disorders include graphic descriptions where harmful items are ingested. If you struggle with any of the following, please get help immediately, as long-term damage can result from the following. 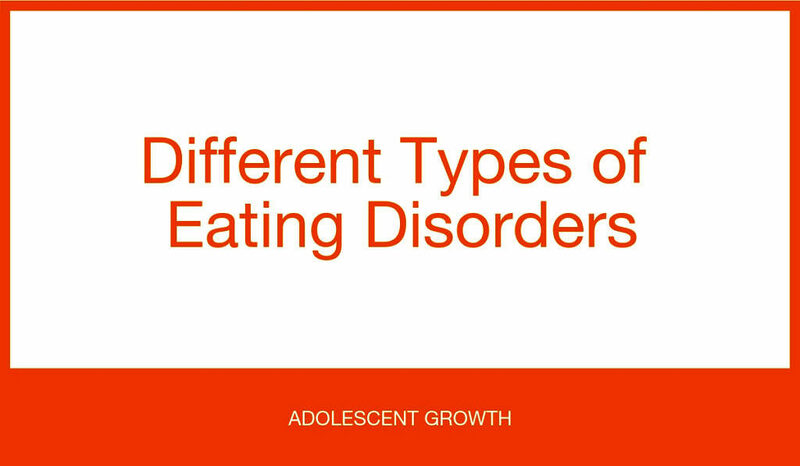 Individuals that develop eating disorders are typically females in their pre-teen or teenage years. There have been cases involving females who were as young as 10 or 11 years old. When an individual develops an eating disorder, this oftentimes occurs in conjunction with a mental disorder such as anxiety and panic disorders, depression, or alcohol and drug abuse. There are individuals who have an inherited predisposition to developing some type of eating disorder. A recent study revealed that the appearance of an eating disorder in identical twins is much greater than fraternal twins. There is also a correlation in the rates of eating disorder diagnosis between mothers and daughters. What Happens if an Eating Disorder is Left Untreated? Any eating disorder that goes untreated can and will often times turn life-threatening or become fatal. The fatality rate among individuals with any of these eating disorders is about 10%, meaning that 1 out of every 10 individuals may eventually die if they do not receive professional help. Since the different types of eating disorders seemingly take control of the individual, it can be extremely difficult to manage them or overcome them on your own. It is always recommended that you get the professional help offered by an eating wellness center instead of trying to do it yourself.